You’re too busy not to trust it to us. Good’s Tree & Lawn Care will apply a granular fertilizer containing at least 50% slow release nitrogen source. This fertilizer will also contain a pre-emergent herbicide for crabgrass. Broadleaf weed control will be applied as needed and as long as temperatures are above freezing. Good’s Tree & Lawn Care will apply a granular fertilizer that contains at least 50% slow release nitrogen source. We will also apply broadleaf weed control. Our technician may spray your entire lawn at this time. We spray to control small weeds germinating so they are not an issue as the season progresses. This application may be applied in conjunction with another application. This application contains a systemic insecticide to control grubs and the damage they can cause. Application may be granular or liquid. Your technician will inspect your lawn for any problems. Example: Could your lawn use aeration in the fall? 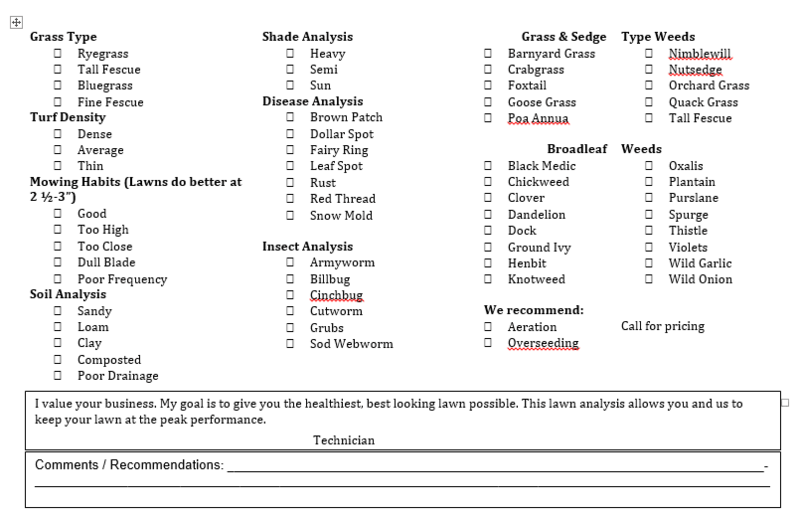 They may suggest a soil sample if they feel your lawn in not up to our standards. 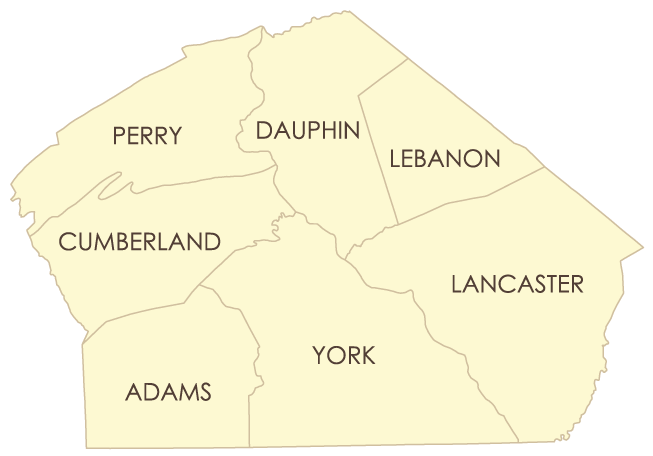 You may also receive a written property evaluation. Please feel free to ask for an evaluation at any time. Applications during the time of year can be tricky. The products we use to control control broadleaf weeds and emerged crabgrass can damage grass when it is stressed by summer weather. If this is the case, we will use them very sparingly. Broadleaf weeds will tend to die more slowly at this time of year because they are not really growing. Be patient, we will get them late summer/early fall application. In additon, we will do a full surface feeding insect control at this time. If you have a small amount of nutsedge we will spot spray it. However, our responsibility for nutsedege is limited. Please see more on our What to Expect page here. 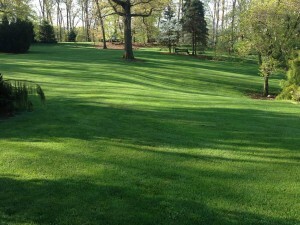 Good’s Tree & Lawn Care will apply a complete granular fertilizer containing at least 50% slow release nitrogen source. The fertilizer for this round is custom blended to help bring your lawn out of summer dormancy. This application provides nutrients your lawn needs to grow strong and green through fall. We will also concentrate on broadleaf weeds. This is the time of the season to clean up broadleaf weeds. Good’s Tree & Lawn will apply a granular fertilizer containing at least 30% slow release nitrogen source. This fertilizer application will provide nutrients to promote root growth, strong cell wall to help prevent winter damage and provide for a quick green up in the spring. Broadleaf weed control will be applied as needed and as long as temperatures are above freezing. Call us today for an evaluation of your lawn.